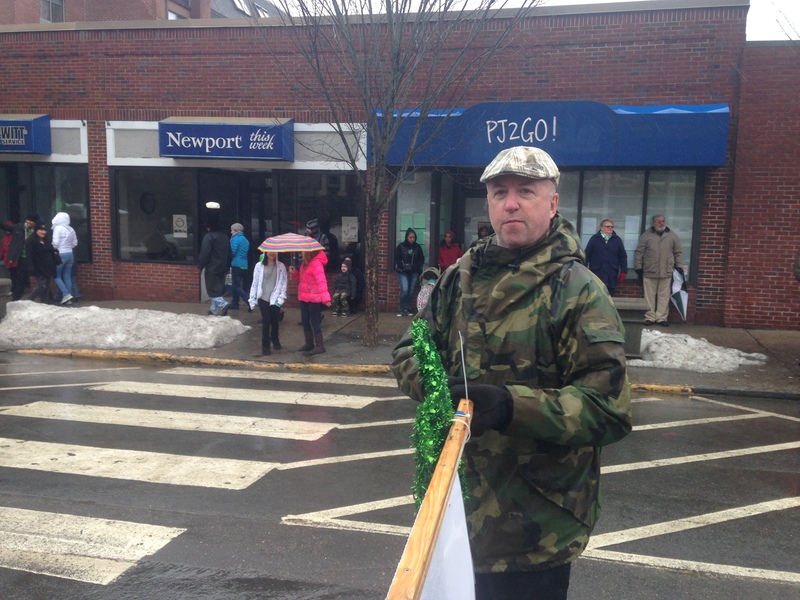 Jim and I survived the constant barrage of precipitation as we joined our friends to support and promote Clean Ocean Access in the annual Newport St Patrick’s day parade. 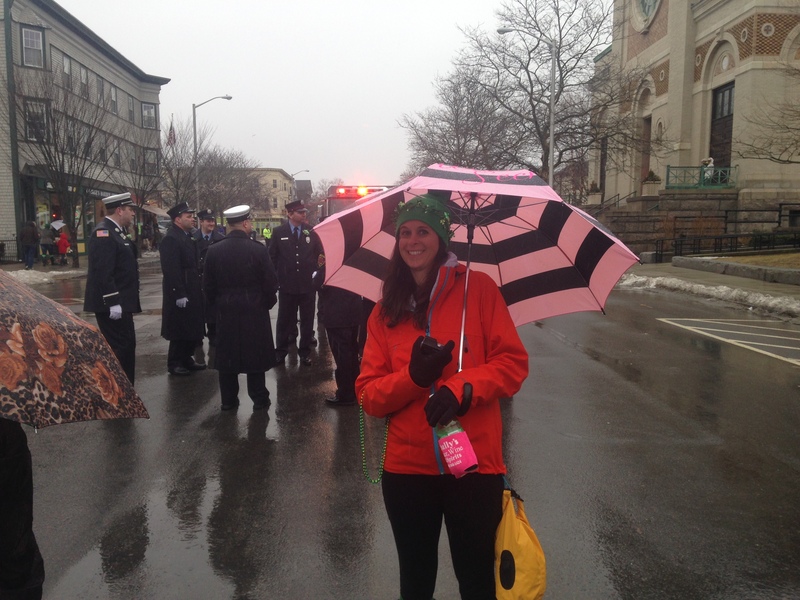 While we were out on the parade route I realized that walking in a parade has a lot of similarities to running a 5k. Of course there is the obvious, both have a start and a finish. 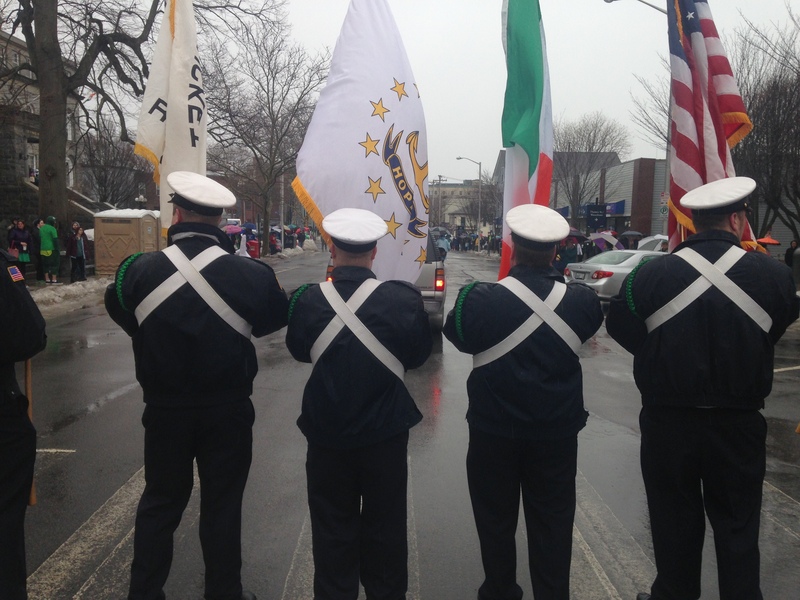 At both the start and finish of a parade and a race you will find spectators who cheer for you as you go along the course. The next and maybe a little less obvious similarity is the beer. Many of the races Jim and I did over the years were accompanied by beer either during but usually after the race. 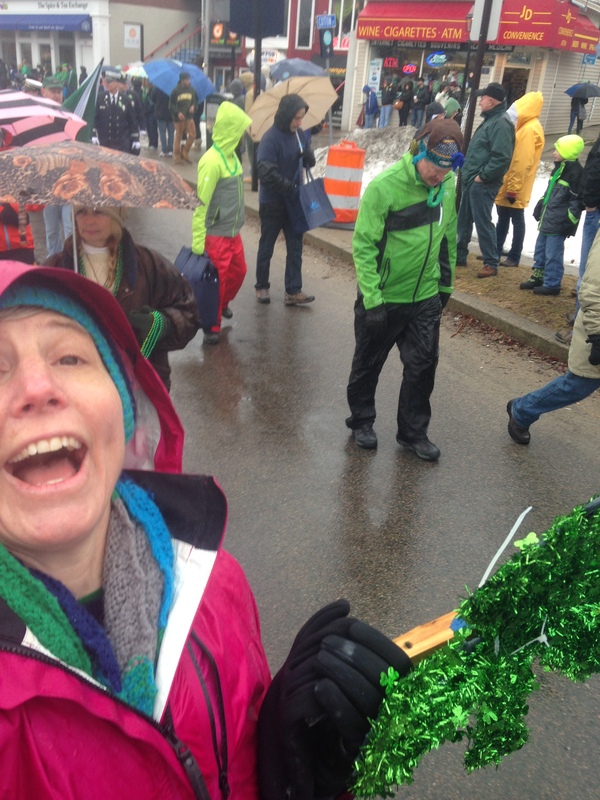 This similarity could be because this was a St Patty’s Day parade but there was definitely lots of beer and other beverages which Dionysus would approve. Finally and probably the most important similarity was the sense of community. One of the things I love about road races is how it brings people together. 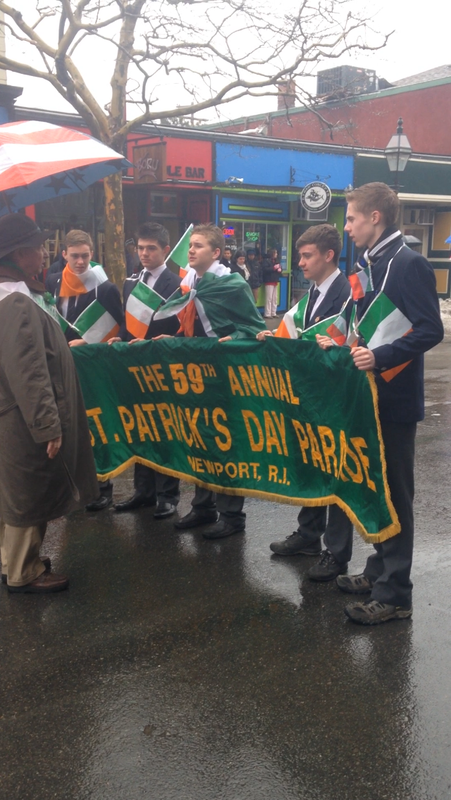 Even though there was rain falling from the start of the parade to the finish, people still came out to the streets of Newport to celebrate this fine holiday.